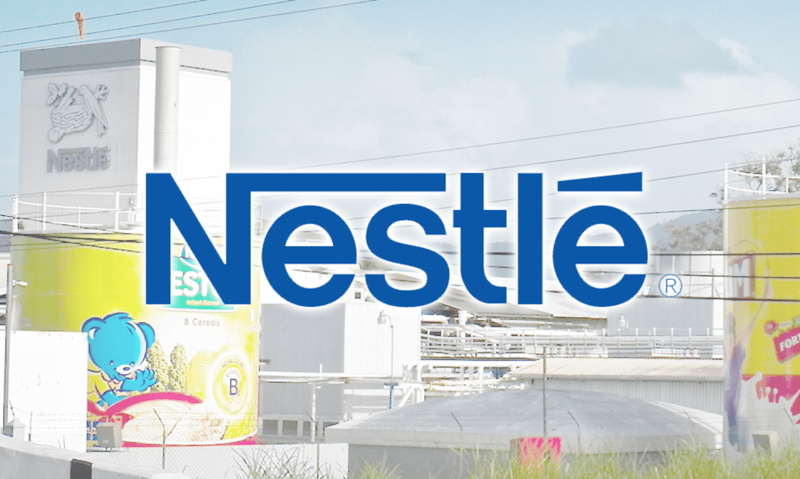 Table water manufacturer, Nestle Nigeria Plc, has unvieled its redesigned logo for its product, Nestle Pure Life, as it strives towards ensuring a healthy environment for Nigerians. The redesigned logo was revealed to the public at the company’s factory in Abaji, Federal Capital Territory (FCT), Abuja, on Wednesday with the company’s distributors, among others, in attendance. Victoria Uwadoka, corporate communications and public affairs manager, Nestle Nigeria, said the unveiling was an expression of their commitment to their consumers. “Today we are unveiling the new brand identity for Nestle Pure Life, a water brand of Nestle Nigeria which comes in two types – the Nestle Pure Life-Mama and the Nestle Pure Life-Protect which is fortified with zinc. “It also shows how transparent we are with our quality. Our product goes through about 14 quality control processes, so, we are committed to ensuring that it is pure water indeed,’’ Uwadoka said. Gloria Nwabuike, marketing manager, Nestle Waters, said the new logo represented purity of Nestle Nigeria Pure Life waters. “So, our purpose today is to promote healthy hydration for the young ones and for families to guarantee a healthier future for our children and the environment,’’ Nwabuike said.